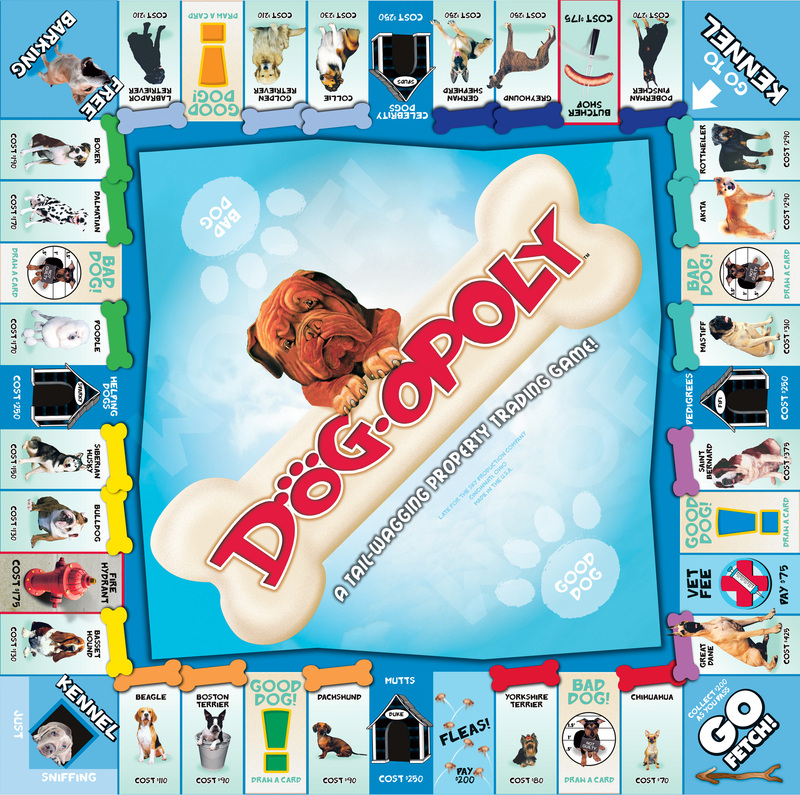 Dog-opoly is a game based on our fabulous four-legged friends. 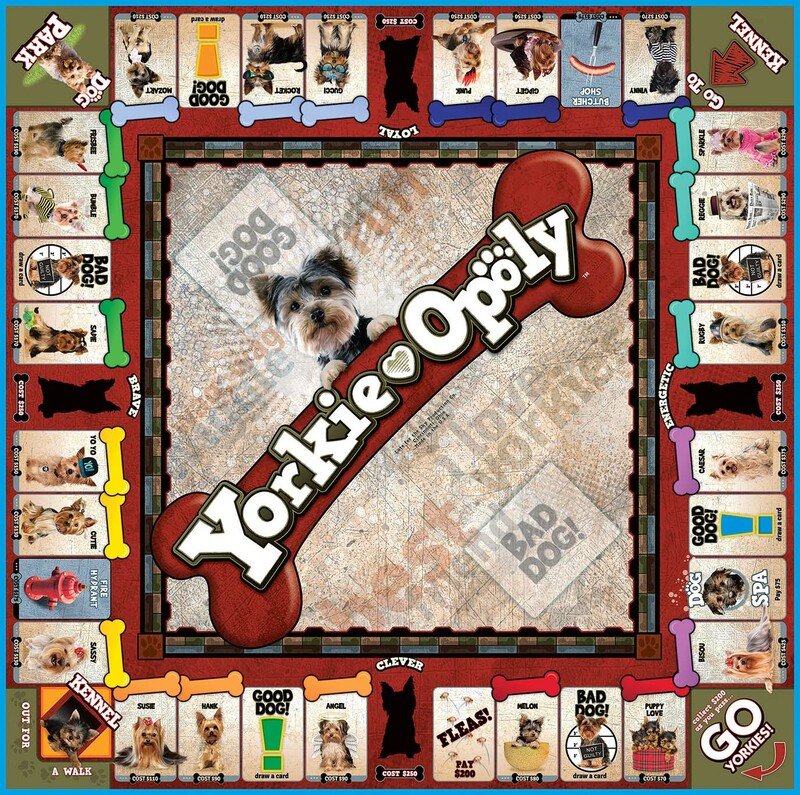 It has all the fun of a traditional property trading game with some dog-eat-dog twists! Buy your favorite dogs then collect Dog Houses and trade them in for Big Bones. 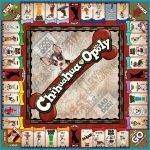 Dogs are arranged in size from small to big,Chihuahua to Great Dane. The back of each Dog Deed is filled with facts about the dog! Did you know that a Boxer is called a Boxer because it uses its front paws to play or fight? And poodle comes from the German word “Pudel”, meaning to splash in water? How about the fact that Dalmatians are born without spots! 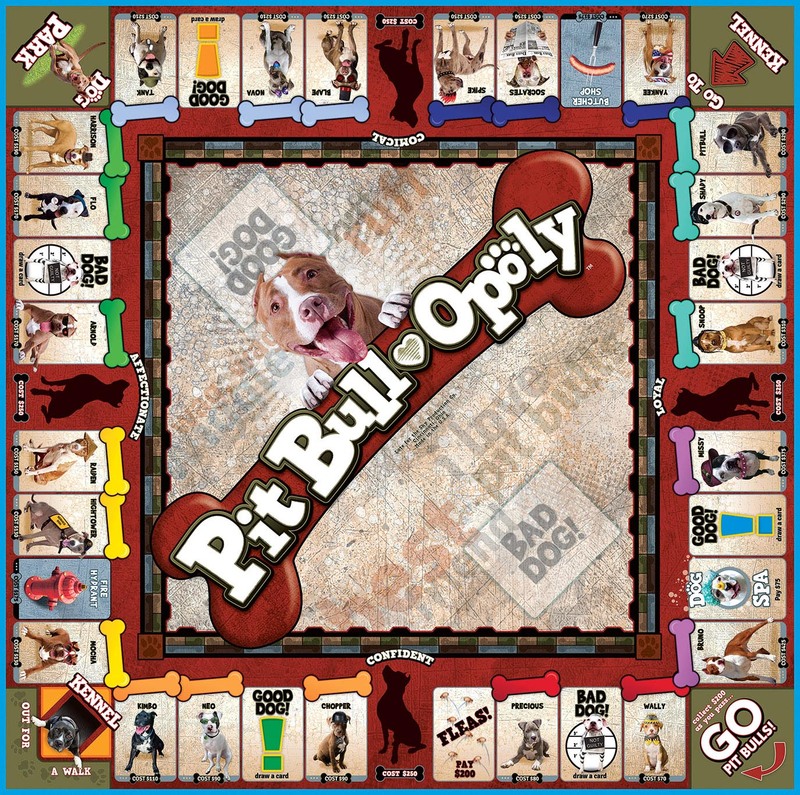 It’s all tail-wagging fun until you land on KENNEL... then you’re sent to the kennel and you’re out of the game for three turns! So grab your token and advance to GO FETCH! Who knows? Your dog may win first place in obedience class - or you may end up with fleas! Whatever happens... It’s a DOGGONE good time!